I will admit it: I’m way behind on book reviews. I’ve had this handy volume from B&H for a couple of months. Sorry about that. The Minor Prophets. Those twelve pesky short books at the end of the Old Testament. You know which ones I’m talking about---the part of your ‘read through the Bible in a year’ plan that you dread the most. Why do we read these? Apart from Micah 5:2 and maybe Malachi 3, do we even have sermons about them? A good step in fixing this neglect is found in Richard Alan Fuhr & Gary E. Yates’ The Message of the Twelve. The authors dig into the Minor Prophets and help us see how God uses this portion of inspired Scripture even to this day. First, the work explains why all twelve are treated together. This grouping is also called the Book of the Twelve, and they should not be treated as unified only by their size. 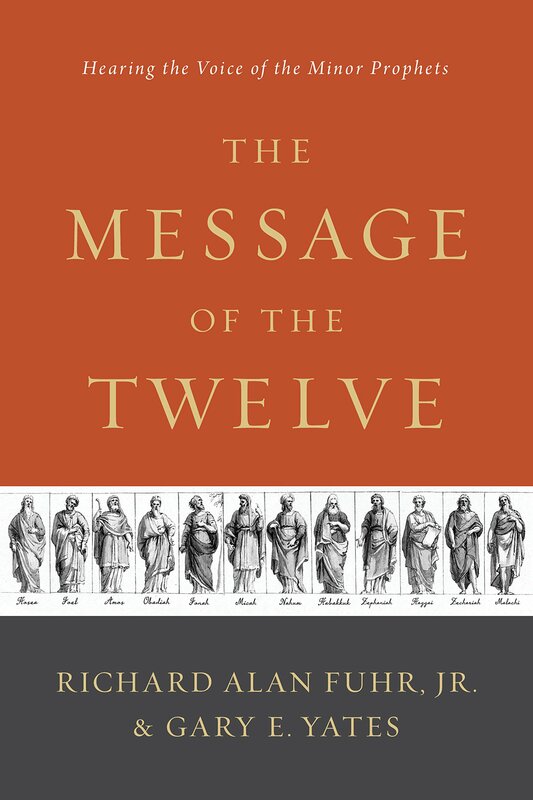 The first section of The Message of the Twelve addresses why one should study all of these together as well as the separate books. I found this a bit more helpful than the second section, which dealt with each book. Why? It’s not that the individual prophet books are not valuable, but there is nothing in Obadiah as a standalone book that can’t be gleaned elsewhere. But understanding the overall context and considering the idea that God inspired the collection as well as the writing, it makes more sense. Obadiah, or Haggai, or Habakkuk, in context not only historically but literarily helps tremendously. Each book of the twelve Minor Prophets is also examined. This includes the standard author, date, and purpose that one expects in a Bible survey. It also delves somewhat into contemporary application. That area is a tad short, but that’s to my liking. Too much printed application keeps the little gray cells from working hard and making application connected to where we are. This is a great start to understanding the Book of the Twelve. I’d put it ahead of even a general Old Testament Survey type book for dealing with the Minor Prophets. Book received in exchange for review.